Security or convenience in digital banking? We want it all! How closely are banks listening to their customers about their desire to embrace mobile services? 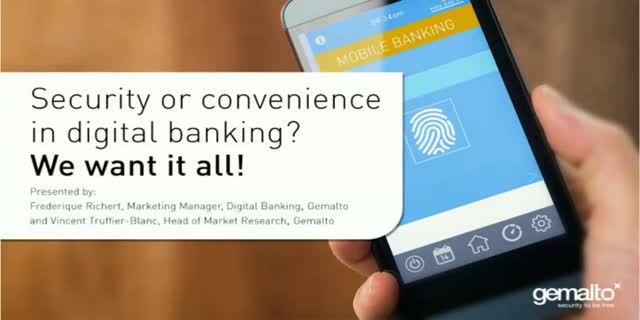 Join Gemalto to understand firsthand what banking customers want and expect when it comes to mobile banking. During this session we’ll share the findings of a recent survey Gemalto conducted with more than 200 digital banking users. From the results we can get an in depth understanding of users’ attitudes to digital banking and their expectations of security, and can help banks fine tune their mobile offerings to address both security and convenience. Title: Security or convenience in digital banking? We want it all!